This is only about my fourth or fifth post in to blogging, and I’m afraid that I’m about to sound like a broken record. As a mother of three and a first-born child, I’ve been known to lean towards the bossy side (I call it strong leadership tendencies), and repeat myself. So if this post sounds like something you read here, just know that you’ve been warned. It’s something I do often. But I digress. Since coming back from a whirlwind family vacation full of Christmasing, a winter wedding, and Sir Mix A Lot’s hit song (don’t ask), I’ve been mulling over my resolutions and the change I would love to see take place in my life this year. I’ve made a list and am on my way to my usual plan-making and goal-setting. I’m thinking of my one word for the year (thanks, Anna, for the idea) and am trying to figure out how to make a homeschooling schedule that works better for our family. But in the midst of this, I took some time to pause, pray, and reflect, and I realized that I needed to slooow down a bit. For all of my goal-planning and lists, I’m actually a simple person; I can realistically only focus on a couple of things at a time. I multi-task because I’m a mother and I have to; if it were up to me, I would probably reach one goal at a time, and slowly at that. (Changed a diaper? Check. Made supper when I really wanted to order take out? Check and a gold star). When I sat a while and listened to what He said, I felt that for the month of January, I needed to prioritize only one thing: His presence. Sitting and listening. No list of demands or prayer requests or pleading; just taking the time to come before the Lord, just me, and without an agenda. With my husband finishing college in May (which guarantees huge changes for our family), what I really want to do is freak out and nag God’s ear off with “Could you please just tell me what we’re doing already?!”’s. I have a list of mothering improvements I should be working at, ranging from being more patient when certain children spill their drinks on the hour every hour to accepting the fact that yes, I DO have to feed them supper every night. But not this month. This month it’s not about me. Instead, I’m going to shut up and listen. Wait. Worship. Just say, “What’s on Your mind today, Father?” and see what He says. That simple. I originally started doing something like this sometime last summer, and at first it felt somewhat tedious. It was hard to pull myself away from my limited Mommytime to lock myself in my room and sit on the floor. But the more time I spent with Him, removed from the noises of this world – TV, Facebook, whatever—the easier it was to come into His presence. And the more I came into His presence, the more I realized that it is a gift, a treasure, to spend time with the One who loves me more than any other. His fellowship is so sweet, and His beauty is unmatched. There is nothing like it. God never called us to make a choice between His presence and being a good mother. You shouldn’t have to sacrifice one for the other. Yes, our lives are busy, and yes, it’s true that we don’t always get 15 minutes to ourselves to sit with Bible and notebook in hand. That’s why I’m not focusing on that. I’m focusing on His presence; just sitting and waiting on God. Some days it might only be 5 minutes, but I’m not going to fill those 5 minutes with my own self-improvement requests or demands for answers to life’s mysteries. I’m coming quietly, humbly, gratefully. I’m coming to wait, to worship, to look into the face of the One I love. And, hey! For the record, time with God can be awkward sometimes. (Or, maybe it’s just me.) Can I be honest? Sometimes I’ve taken a minute in the bathroom, with the door locked, to check in and say, “Father, I need You, and I want you to know that I love You.” You know, the bathroom, the place with the toilet? Yeah, there. One time, my children woke up earlier than usual and caught me in the middle of a worship sesh with my IPod on. I’d been pouring out my heart in worship, tears streaming down my face, and was interrupted by childish applause and giggles from two little girls who thought I was randomly singing to myself. Super awkward. But, you know what? It’s not about what I look like or sound like or where I have to snag a few minutes with God. It’s just about being with Him. It’s taking the time. It’s choosing to worship Him because He’s worthy, and not because He’s accommodating. So, I hope you’ll join me, Moms. Let’s aside the healthy eating and gym memberships till February, and join me on the stinky carpet. 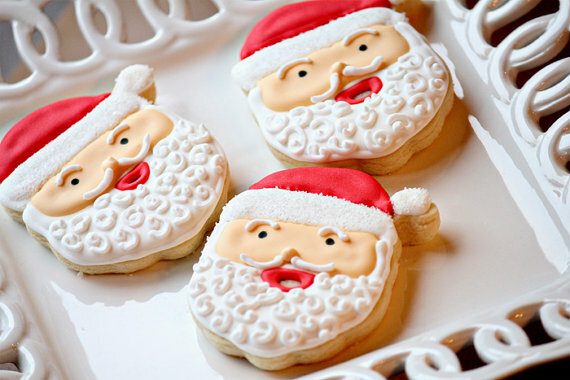 Besides, I still have some leftover Christmas cookies sitting on my table, and I’d hate for them to go to waste.